John Geden joined the British Army in 1983 as an officer in the Royal Military Police at just age seventeen. After his military service, John joined the Hampshire Police and worked in a number of departments over his twenty-two years of service. In 2014, he was diagnosed with PTSD from his traumatic experiences serving in the army and police force. He received support from Help for Heroes and Combat Stress before taking early retirement. Back in 1991 after John retired from the army, he was given the opportunity to take a resettlement course in bee keeping. John completed the ten-week course where he quickly became captivated by the bees. Ever since, John has owned bees on and off, and fourteen years later his bees have become a business. I feel safe next to an open bee hive, after all, who is going to come and bother me! John’s business, Sinah Common Honey, is small-scale business which produces local, natural honey from Hayling Island and in the surrounding areas on the southern slopes of the South Downs. The honey is produced locally, is 100% natural and can be found in local food markets, farm shops and Southern Cooperative Stores in Hampshire and Sussex. John attended a Help for Heroes and X-Forces six-day business skills course in order to develop his brand and learn more about the ins and outs of running a small business. Since the course, John has been able to turn his love for bees into a business that makes him happy. Although Sinah Common Honey does not produce a massive amount of honey on an annual basis, John runs approximately 140 colonies at a time and is proud to guarantee every pot of honey is local, fresh, and natural. He must have taken notes during his business skills course because in 2016 he was awarded the Service Leaver Business Start Up of the year at the prestigious Nationwide Resettlement Awards ceremony held in Manchester Arena. Former BBC Breakfast presenter Bill Turnbull who, coincidently, is a fellow beekeeper presented John with his award. After attending the Help for Heroes and X-Forces six-day workshop to develop my brand and learn more about small business development, I’ve been able to turn my fascination for bees into a business that really makes me happy. In addition to selling honey at local food fairs, farmers markets, and the local co-op, Sinah Common Honey also produces beeswax candles, wedding favours, and they also run bee-keeping courses for beginners and more experienced beekeepers. John is also looking into creating alcohol infused honey products, and his newest endeavour is to produce honey cosmetics. His beeswax based cosmetic idea is still in the early stages of development, but John hopes to create a beeswax, honey and propolis balm for soldiers who have lost limbs to use where their prosthetics rub against their amputated limbs. He hopes to partner with other military charities to make this idea a reality in the near future and to bring the product to the mainstream marketplace. John also runs his own bee-keeping course for various levels of skill and he breeds Queen Bees to sell. 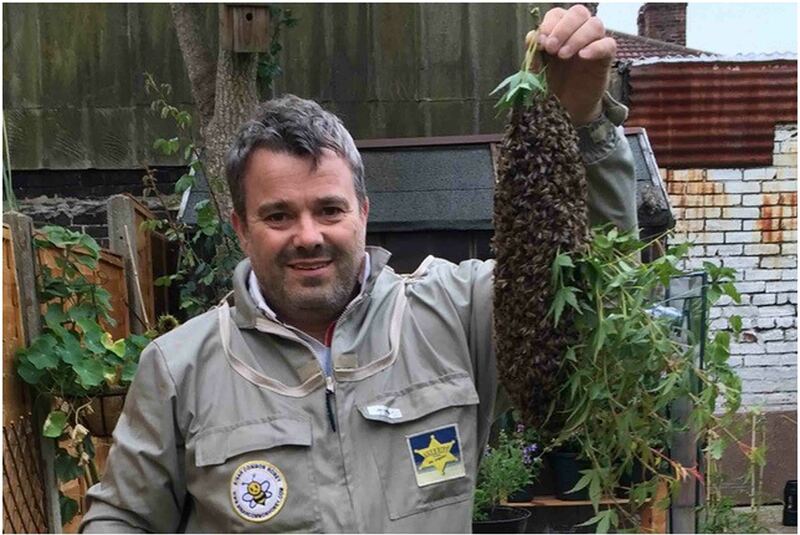 He also gives his time freely to run bee-keeping courses for Help for Heroes beneficiaries in order to help other injured, wounded or sick veterans. In the last six months or so, John has spent a lot of time investing in the bees themselves and the facilities to run a colony. His hope is that he can slowly build the business over time while remaining a local, trusted company. 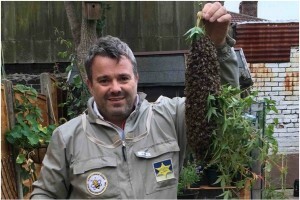 John Geden, Sinah Common Honey is now the local BJ Sherriff Distributor for the South Coast of England.